It's coming up on the abundant zucchini time of year, the summertime overflow of showy blossoms and bulbous squashes. 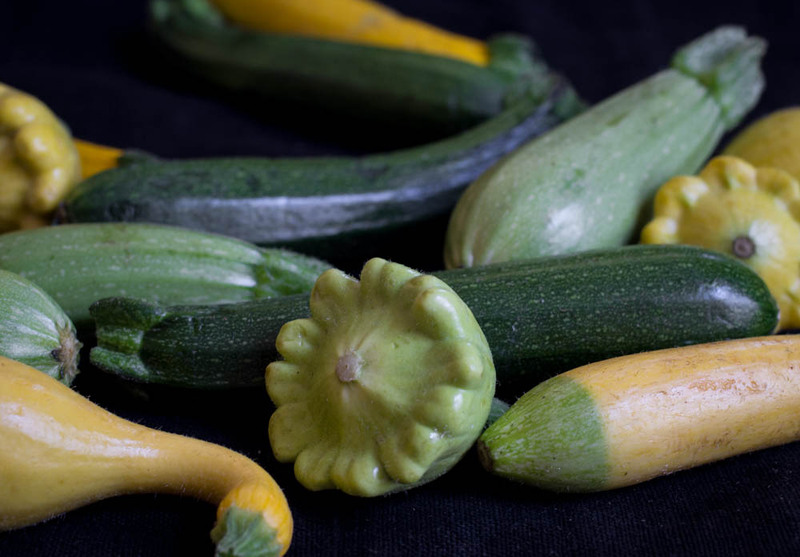 If you are growing it in your garden, it's easy to turn from delight at the zucchini bounty to panic at the onslaught of seemingly endless squashes. There are many ways to avoid courgette burnout, but I think one of the very best is shredding up a whole mess of zucchini with some haloumi and a beaten egg and frying up some tasty fritters. An enormous volume of zucchini can be dispatched into crispy, squeeky-cheese filled snacks. Add a spicy dip and it's a perfect appetizer or entire dinner, if you want to wolf down the whole plate like I did. If you want to turn these into a proper dinner, serve the fritters over a big herby green salad with a couple handfuls of basil, mint, parsley and dill. The amounts here are flexible, but you are aiming for a mixture that is moist and clumping but not soggy and runny. Add extra egg for more liquid and more breadcrumbs/chickpea flour to sop up extra liquid. 2-3 large zucchini, or more, this recipe is flexible! Shred zucchini and place in a colander. Salt the zucchini and let sit for 10 minutes to drain. Press with paper towels until zucchini gives off no more liquid. Combine other ingredients except oil together in a large bowl and mix until evenly combined. Heat oil over medium high heat in a large pan. Fry 1/3 cupfuls of mixture well spaced apart in the pan for a couple minutes per side. They should unstick easily from the pan and slide around when they are ready to flip. When both sides are deep gold and crispy, set on paper towels while you finish frying the others. Combine all ingredients in a small bowl. Dip those fritters!